Marion “Red” De Geus, age 83, of Holland, passed away Monday, September 24, 2018. 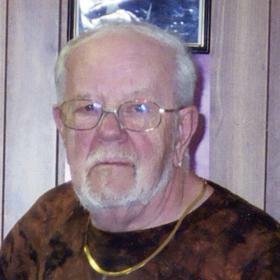 Red was born and raised in Zeeland and lived most of his life in Holland. He retired from Baker Furniture after 45 years of employment. Surviving is his wife, Suzanne of 29 years; children, Michael and Theresa De Geus, Lynette Gallager and Paul, and Darwin and Christine De Geus; 5 grandchildren, Christopher De Geus, Stacey Morgan, Johnathan Gallager, Autumn and Michael Hardin, and Destiny Bronson; 7 great grandchildren; sister, Arlene Trudgeon; sister-in-law, Sandy Benaway; nephews, nieces, and cousins. Funeral services will be 11 am Friday (September 28) at the Dykstra Funeral Home-Mulder Chapel, 188 West 32nd Street. Burial will be in Graafschap Cemetery. Visitation will be 6-8 pm Thursday (September 27) at the chapel. Memorial contributions may be made to Hospice of Holland.